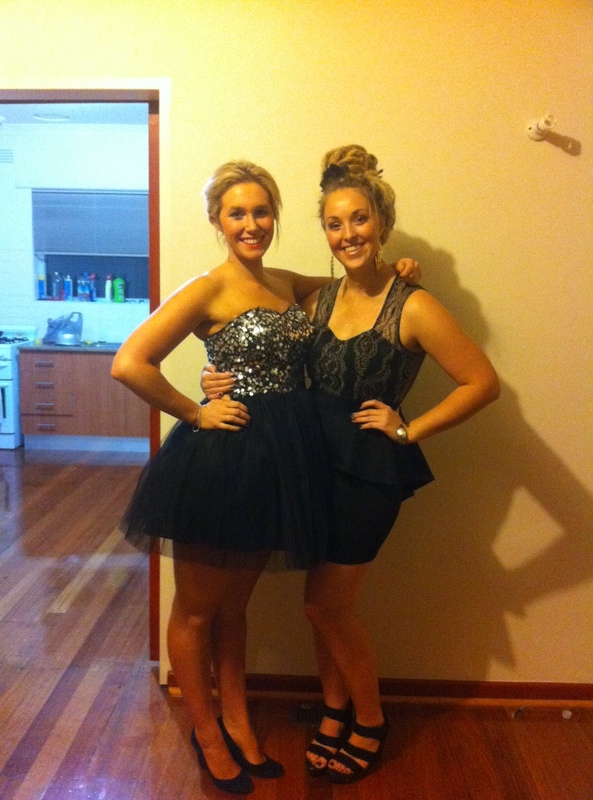 We went to a ball this week. We sat on the top floor of Crown Casino and drank expensive champagne. And we weren’t sucking in our tummies the whole time. We actually felt quite pretty. And had a really good night! So to business! We recognise this post is being let out a little late – we’re in exams so things are pretty stressful in this house! A lot of the time it doesn’t work out that way. When you’ve been sitting staring at your computer for hours on end and you need something to keep you kicking on – sometimes celery just doesn’t cut it… and although it’s important to maintain exercise, when you are close to exams it seems as though 24 hour days shrink to about 5 hour days and there always seems to be something more important to do. SO this is the conclusion…. Your academic life, will benefit you long into the future. If you fail a subject, it will be permanently on your record and if you drop a mark – there is a massive perceived difference between a credit and a distinction. Your weight you can always get back on track the next week, or even next couple of weeks… this is the sacrifice we’re willing to make at this point. Now, we’re not saying this is right or wrong – but it’s our personal experience and although we are still trying to make healthy choices and stay somewhat active, the reality is; a toasted sandwich is a lot easier to make than many healthy meals. And studying is our number 1 priority for the past, and next week. 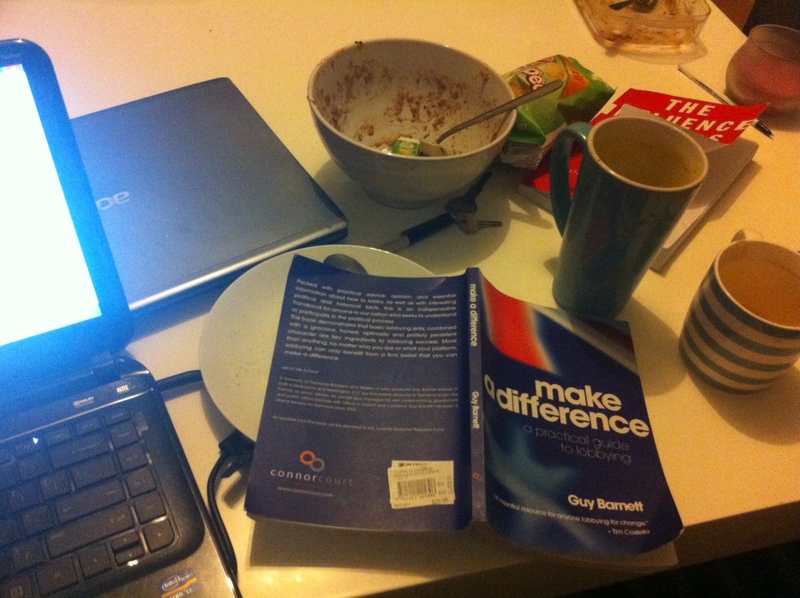 SO please go easy on us this week and next… we’ll keep you updated but don’t expect amazing results! 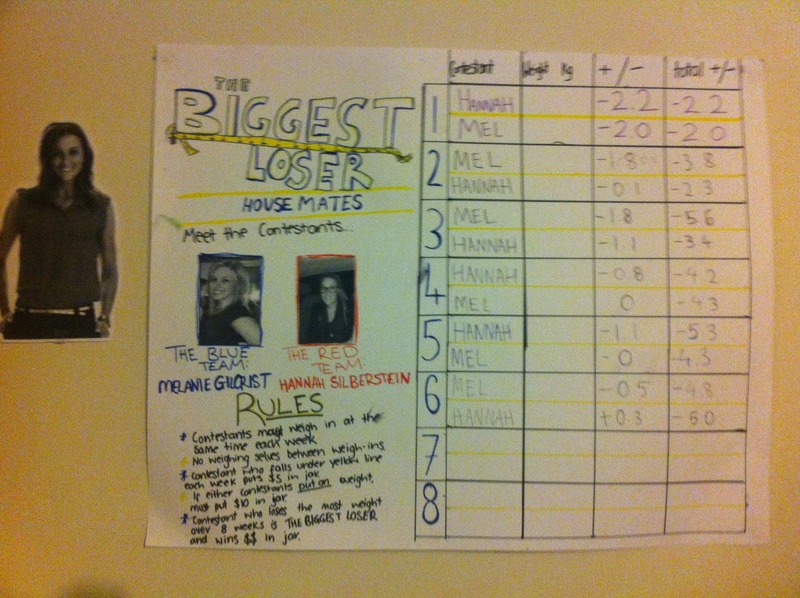 Mel was the biggest loser, losing .5kg. Unfortunately we don’t think next week will be much better but we promise to get back on track after that! We’re still hearing great results from others doing their own challenges which is great – glad to know someone is making up for us these weeks!